Dr V. S. Sharma is Editor-in-Chief of the International Journal of Tea Science; former Director of the UPASI Tea Research Institute, India and former Technical Adviser, The B.B.T.C. Ltd Plantations, for 19 years. Dr M. T. Kumudini Gunasekare is a Project Scientist at the Coordinating Secretariat for Science Technology and Innovation (COSTI); and former Head of the Plant Breeding Division at the Tea Research Institute, Sri Lanka, and Editor of the International Journal of Tea Science. Tea is the most widely-consumed beverage in the world. Like other crops, tea cultivation faces a number of challenges. With the challenge of climate change and the competition for scarce resources, there is a need to make tea cultivation more efficient and sustainable. Cultivation needs also to be more resilient to biotic and abiotic stresses, whether it be pests or more extreme weather (e.g. drought) associated with global warming. Fortunately, there is a range of research addressing these challenges. Drawing on an international range of expertise, this collection summarises this research by focusing on ways of improving the cultivation of tea at each step in the value chain, from breeding through to harvest. Part 1 reviews advances in breeding. Part 2 discusses improvements in cultivation techniques. The book then discusses plant protection and chemistry before concluding with sustainability issues. 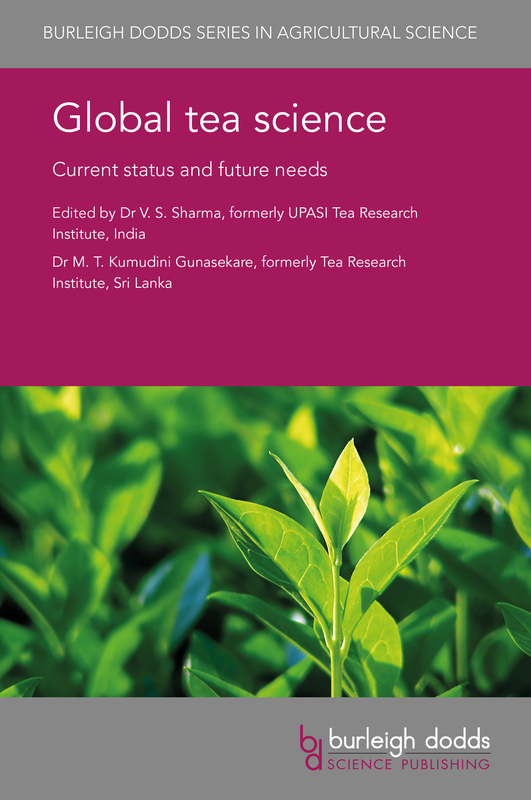 As the need for more interdisciplinary and collaborative research increases, this collection will be a standard reference for the tea research community by summarising key research trends in each topic and putting them in the context of tea cultivation as a whole.